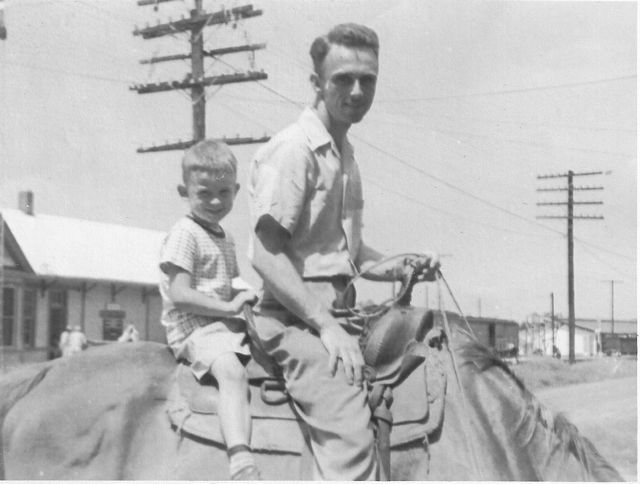 Here are some photos of my parents and grandparents that were not included in their individual pages. See also the Anthony and Taylor pages for more photos. I’ll add to this collection as I scan more photos. Click the thumbnail to see the full size photo. 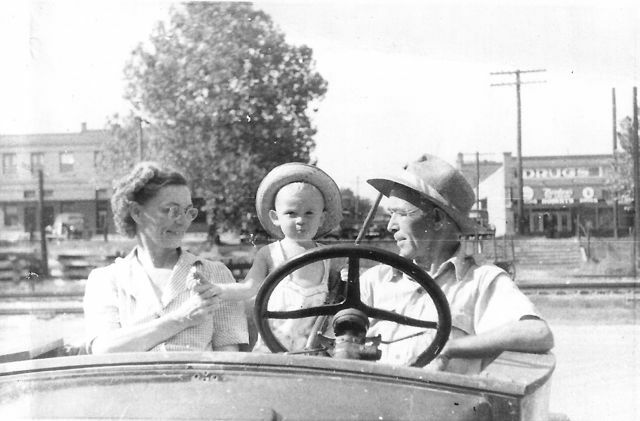 Bob with Allie and Harry Baird. 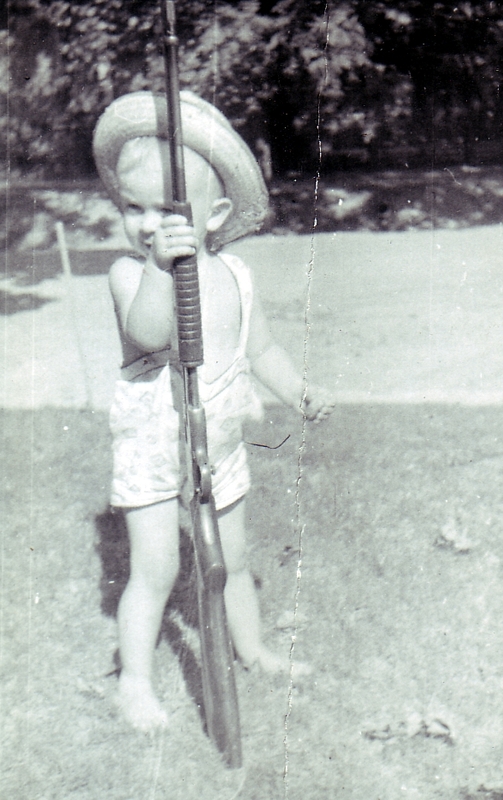 Apparently taken in mid-1945 with the main highway of Omaha in the background. 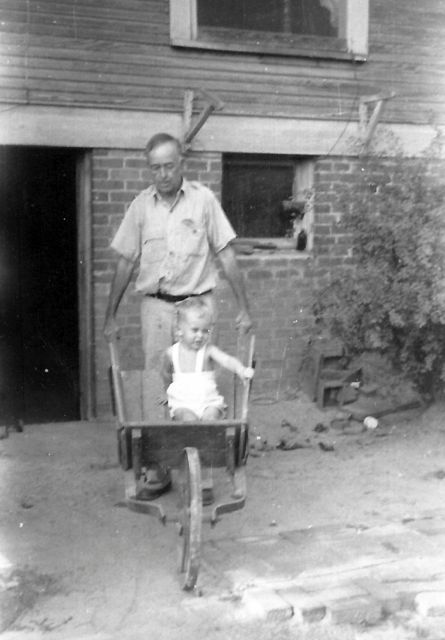 Harry Baird wheeling Bob around the back yard of the Anthony house. At left is the entrance to the dirt-floored basement where Harry repaired small appliances and puttered around. Bob and Jack on South Main St. in Omaha. The old train station is visible in the background. 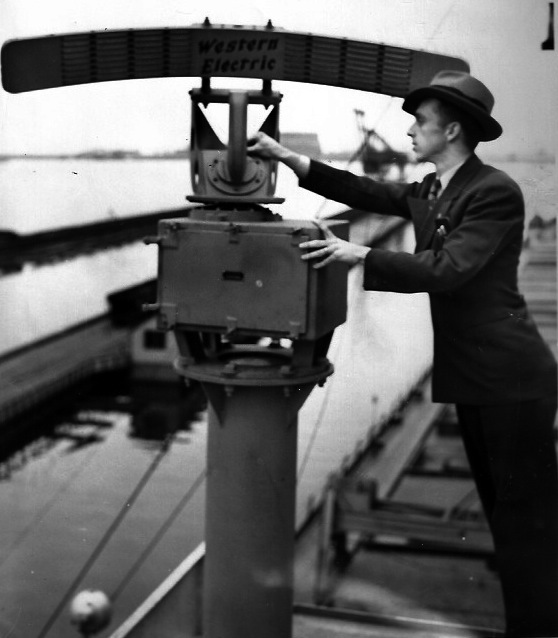 Jack Baird in 1946 on the 545-foot steamer John T. Hutchinson, posing with the first radar installation on the Great Lakes. Jack Baird as a Texas A&M cadet. He was a cadet Major but the insignia is not clear in this photo. 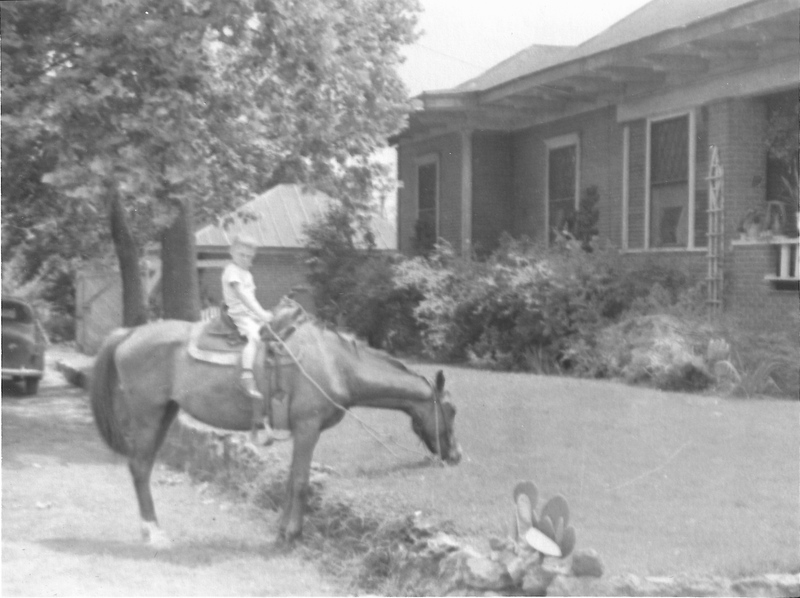 Bob at the side of the Anthony house in Omaha, Texas. By the time this photo was taken Lou Ella Witt Anthony and her daughter Allie Anthony Baird, both newly widowed, were the only occupants of the house. OK, this is not a photo of my parents or grandparents, but it’s cute.